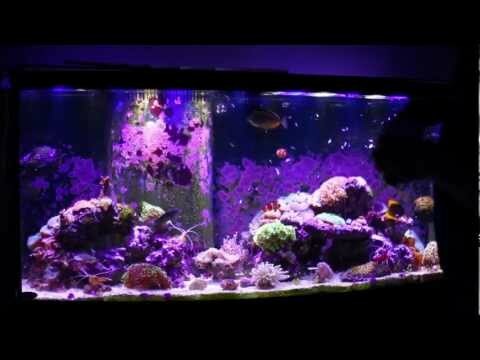 On average you perform a 31% water change every 41 days. Added GFO Reactor with 100g of RowaPhos. Changed Mg doser (from 4.4 to 5.5ml/day) as Mg levels are slightly falling. Added TLF reactor to sump with 100 grams of Rowa. Shifted light programming in Vertex fixture forward an hour. Interval was not increased.